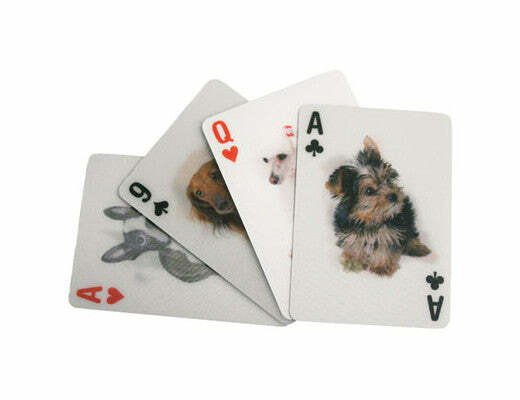 Lenticular poker size playing cards. 52 different dog images and 2 cat jokers. Dimension: L 3.54" X W 2.56" X H 0.83"